Lance Cpl. 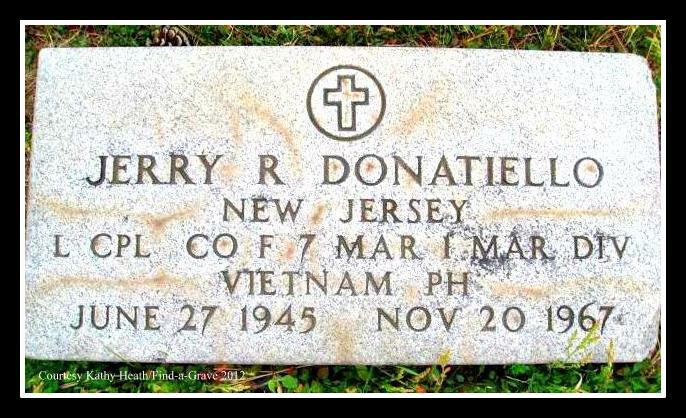 Jerry Richard Donatiello, of 14 Frederick Street, Belleville,, N.J., was killed in action by hostile rifle fire in the vicinity of Quang Namn in Vietnam on Nov. 20, 1967. He had been in Vietnam since Oct. 5. While serving with the USMC Company F 2nd Battalion, 7th Marine, 1st Marine Division, L. Cpl. 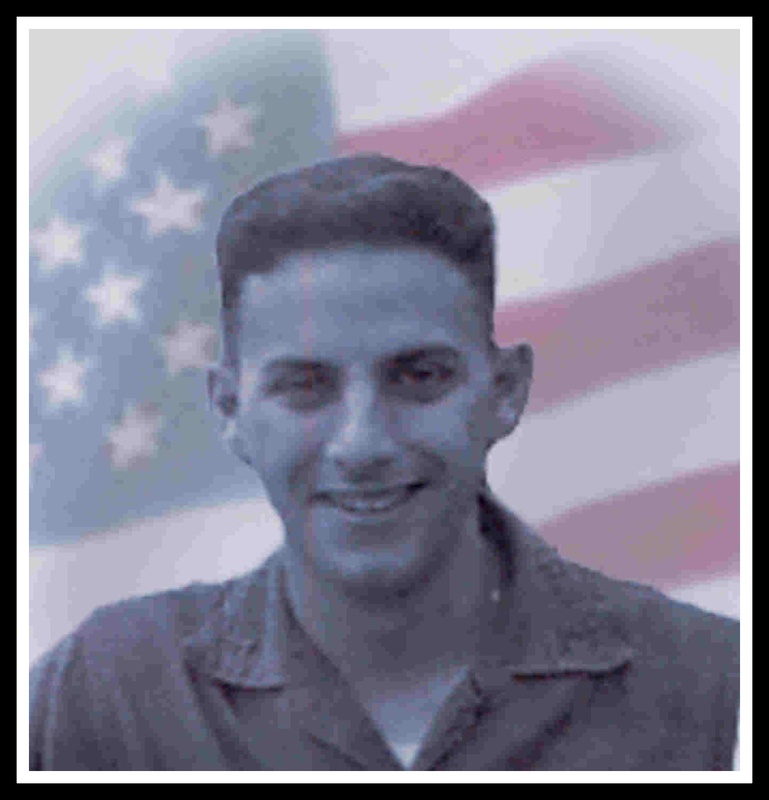 Donatiello, 22, was killed after sustaining a gunshot wound to the body from hostile rifle fire while on an operation in the vicinity of Quang Namn, Republic of Vietnam. Born on June 27, 1945, he enlisted in the Marines on March 3, 1965. His service number is 225482. Born in Newark on June 27, 1945, Richie, as he was known at home, attended South 8th Street School and graduated from Bloomfield Technical School class of 1963 before moving his family to Belleville two years ago. He was attending Fairleigh Dickenson University, Rutherford at nights for two years when he was drafted into the Marine Corps on March 3, 1965, and sent to Vietnam on Oct. 5. While attending college, Richie had been very active with a CYO organization in Clifton, the town from which his girlfriend for three years, Roberta 'Cookie' DeMolli, comes. At that same time he held two jobs to meet school expenses, a full-time job with Wilson Imperial, Newark and a part-time job at a local Acme Food Market. Funeral services were held Nov. 30, at Saint Anthony's Church, Belleville, with arrangements by Murray's Funeral Home, Belleville Avenue, Bloomfield. Corp. Donatiello is survived by his widowed mother, Mrs. Rose Donatiello, and four brothers: Patrick, 38; Anthony, 37; Angelo Jr., 33; and Robert 29, of Church St., Belleville. New Jersey Vietnam Veterans Memorial, Holmdel, N.J.